Products go through many stages as they work their way through the supply chain -- from the inbound flow of raw materials to manufacturing to primary packaging to secondary packaging to the warehouse to final delivery. By and large, companies are organized by functional department. As a result, we are great at optimizing these functions, but not so great at recognizing the connections between them. This reality of corporate structures is rife with problems -- and opportunities. Let's take the secondary packaging function -- not filling bottles and cereal boxes, but the next level of packaging that readies products for retail sale. Most times companies will outsource final packaging to outside contract packaging firms, adding an expensive and time-consuming step betwen manufacturing and the distribution center. But forward thinking companies, like Kimberly-Clark, have combined these functions by using 3PL partners to do final packaging in the distribution center. Integrating secondary packaging and distribution functions can reduce combined warehousing, packaging and freight costs by 30%. Most of this savings comes from just eliminating the redundancies that are a by-product of silo corporate structures. Lower freight costs. Typically, products ship out to the contract packager and then back to the DC for final distribution. These extra runs hike freights costs an estimated 38%. Eliminating these costs on an $8 million spend would mean a savings of $3 million, not to mention the added environmental benefit of taking trucks off the road. Lower inventory carrying costs. Use of an outside contract packager adds about 7 days to the distribution cycle. Worse, companies typically lose visibility of their product during this time, creating uncertainty about the amount of product available for sale. Manufacturers deal with this uncertainty by adding inventory, which in turn adds warehousing, labor and financing costs. labor and rolling stock to be deployed where it’s most needed at any given time, across multiple functions. Cross-trained workers can be available to address peak demands in the DC or the co-pack area. Management costs are also reduced and the functions can share security, clerical, maintenance and other facility staff. Reduced damage. The more product is moved, the greater the potential for damage. Shipping product to and from an outside packager results in about 3% damage. If it’s a liquid product, the percentage will be higher, since damage to one bottle can destroy multiple cases. Are 3PLs Ready to Take on Complex Secondary Packaging? Some are and some are not. Most 3PLs and 3PL systems are set up to "ship it." Contract packaging services are more of a "make it" environment where exacting QC processes must be in place to ensure the quality of the product, and the product package. The financial hit from a missed shipment is nothing compared to an improperly packaged batch of products that the retailer rejects. Many 3PLs have been operating secondary packaging projects for decades and have become quite sophisticated. There are definitely 3PL partners out there that can advise you on efforts to co-locate packaging with traditional distribution. Take a hard look at every stop your product makes along its journey to the consumer and how many days it takes. Then ask: How can I reduce this time and the number of different touch points? 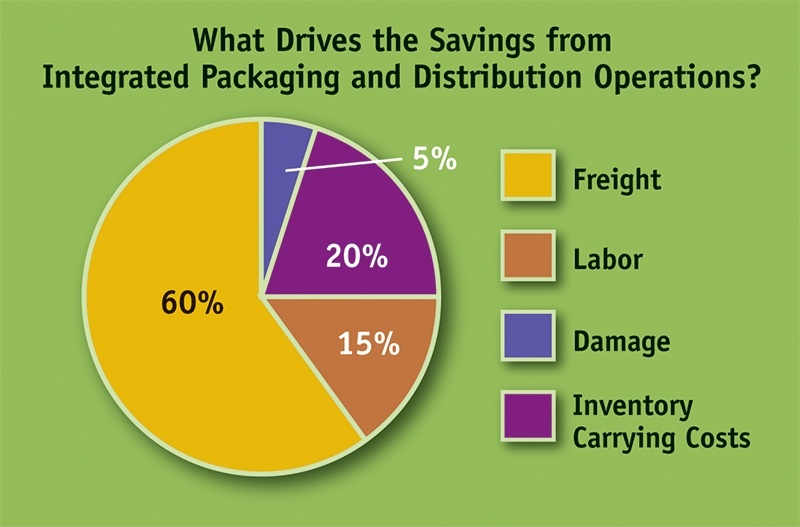 Integration of packaging and distribution may provide an excellent answer to this question.